Fox guest Joe diGenova: "Perhaps they would prefer the tear-gassing, and perhaps bullets, as opposed to a wall"
Lou Dobbs calls for Trump to fire Mueller: "Why not end this absolute attempted coup"
Discredited Republican lawyer Joe diGenova told Fox News host Laura Ingraham that he has been advising President Donald Trump on the replacement of former Attorney General Jeff Sessions. A U.S. attorney during the Reagan administration, diGenova played a partisan role in investigations into President Bill Clinton during the 1990s, including serving as the source for a later-retracted newspaper article, and he was criticized for behaving unprofessionally while working for congressional subcommittees. 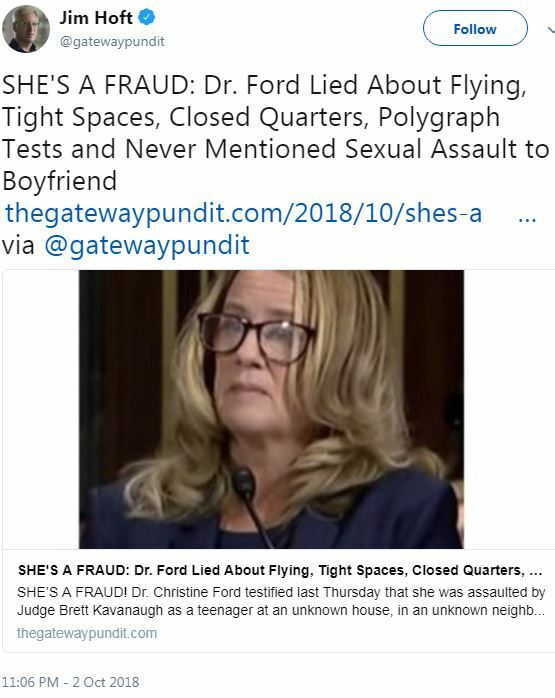 He also fabricated false claims against the Obama administration over the 2012 Benghazi attack. LAURA INGRAHAM (HOST): I have to ask you on picks for attorney general. We all have maybe a couple ideas -- what are your ideas? JOSEPH DIGENOVA: Well, I have a couple of ideas which I have shared with the president, and I'm not going to share them with anybody else. So, if I say any of my ideas, I will be sharing a conversation with the president. DiGenova’s latest comments came just hours after Trump fired Sessions following a nearly two-year campaign of publicly humiliating the attorney general for his recusal from the Russia investigation. After the firing, Trump named Sessions’ former chief of staff, Matthew Whitaker -- who has previously supported Trump against the Russia investigation -- acting attorney general. In an interview with the Daily Caller's Ginni Thomas, diGenova called for "a cleansing of the FBI and the upper echelons of the Department of Justice." DiGenova also called Russian interference "a false Russian conspiracy that never existed" that was built with "false facts." JOSEPH DIGENOVA: It's a big deal because I have a saying that the FBI used to spy on the Russians, this time they spied on us. What this story is about, it's about a brazen plot to again exonerate Hillary Clinton from a clear violation of the law with regard to the way she handled classified information with her private server, absolutely a crime, absolutely a felony. It's about finding out why, as the Inspector General is doing at the Department of Justice, why Comey and the senior DOJ officials conducted a fake criminal investigation of Hillary Clinton, followed none of the regular rules, gave her every break in the book, immunized all kinds of people, allowed the destruction of evidence, no grand jury, no subpoenas, no search warrant. That's not an investigation, that's a Potemkin village. It's a farce and everybody knew it was a farce. The problem was she didn't win and because she didn't win the farce became a very serious opera. It wasn't a comic opera anymore, it was a tragic opera and she was going to be the focus. What this is about is, this is about a lavabo, a cleansing of the FBI and the upper echelons of the Department of Justice. We're going to discover that the Attorney General Loretta Lynch, her deputy Sally Yates, the head of the National Security Division John Carlin, Bruce Ohr, and other senior DOJ officials and regrettably line attorneys, people who were senior career civil servants, violated the law, perhaps committed crimes and covered up crimes by a presidential candidate. But more than that they tried to frame an incoming president with a false Russian conspiracy that never existed and they knew it and they plotted to to ruin him as a candidate and then destroy him a president. That's why this is important. 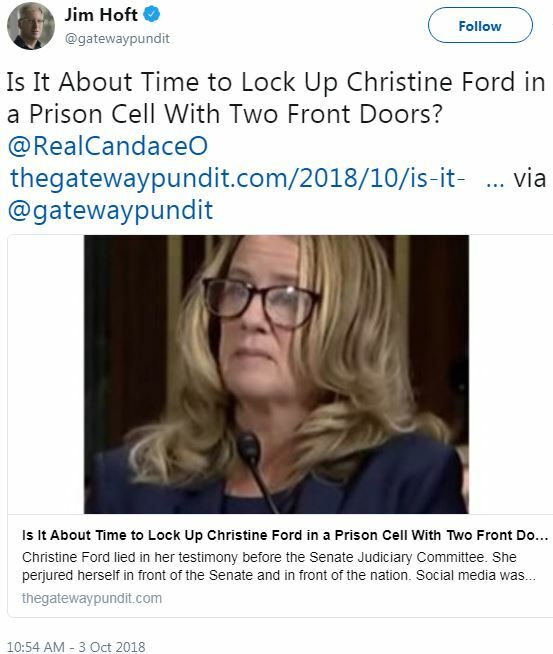 That's why connecting the dots is important, because the FBI now has to be completely reconstructed from the ground up. The men and women at the bureau are great people, that's not who we're talking about, we never have been. We are talking about people like James Comey, McCabe, Strzok, Page, Baker, Priestep, whose name nobody knows. He's the head of the counterintelligence division and he was the one who was involved in planning this entire crazy thing involving Fusion GPS, the false dossier, and creating evidence. This is what people have to understand. What the Bureau did was, by working with Fusion GPS, and giving contractors access to highly classified information, which they had no legal right to see, they needed to create something they could give to the court, the foreign intelligence court, so that they could get wiretaps and surveillance taps and email taps and phone taps on the Trump people so that if there was anything they could find it out. Of course there was nothing. There was ... there never was anything and they created false facts so that they could get surveillance warrants. Those are all crimes. Every single one of those acts constitutes a crime because it was done not for a legitimate law enforcement reason, not for national security reasons, but to create a false case against a candidate Donald Trump, a president-elect Donald Trump, and a president Donald Trump. 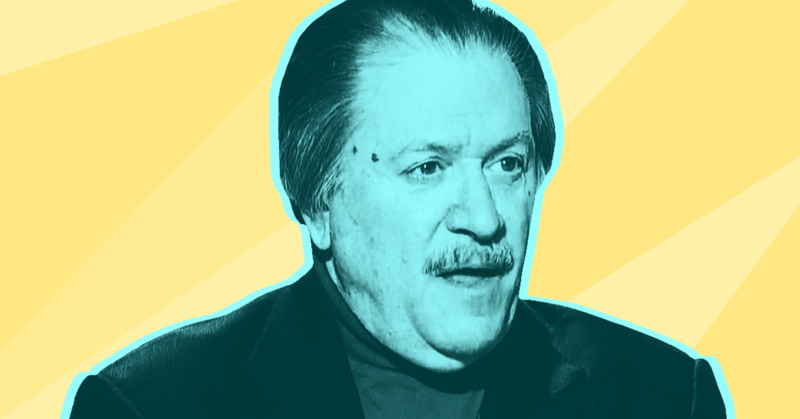 On Fox, diGenova has repeatedly claimed that the Russia probe is a conspiracy to “frame Donald Trump,” and that multiple people at the FBI and Department of Justice should be investigated, fired, and arrested. He has demanded Congress impeach Deputy Attorney General Rod Rosenstein and FBI Director Christopher Wray, and he has said Rosenstein should “rot in hell” for the way he has overseen the Russia investigation. He suggested then-Trump lawyer Michael Cohen’s secret payments to two women on behalf of Trump during the presidential campaign weren’t illegal. DiGenova also claimed that the DOJ-authorized FBI search of Cohen’s office was “an act of terror” and that a prosecutor was using “terror tactics” to “coerce” former Trump campaign chair Paul Manafort. DiGenova didn’t reserve his ire only for the Russia probe and those directly overseeing it. He spent months criticizing Sessions before Trump fired him. In May, diGenova said on Fox’s Hannity that Sessions’ recusal “was an unforced betrayal of the president” -- a statement Trump loved so much he directly quoted it in a tweet that also name-checked diGenova. Look, make no mistake about it: Rod Rosenstein is a creep. He is a dishonest -- fundamentally dishonest – he cares about one thing, himself, his next job, and his future. The president, of course, will keep him through the next -- through the election cycle. Keeping him after that is an open question. Where is Jeff Sessions? He is on a milk carton. This guy is so sad and so depressing to watch him twist in the breeze as an incompetent attorney general. And there behind him is Rasputin, Rod Rosenstein. 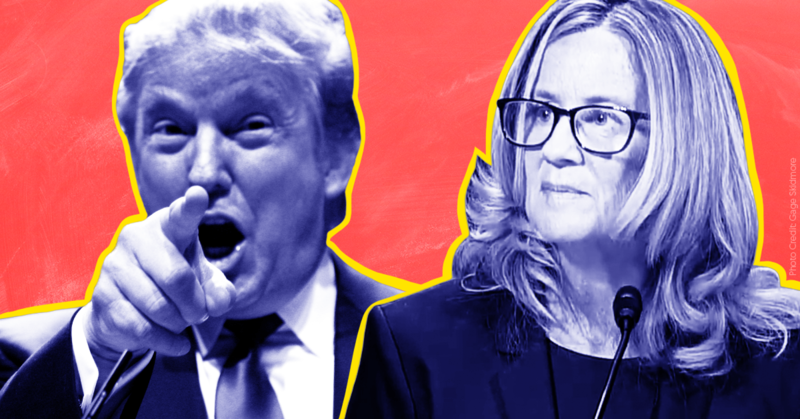 This is an ugly period for the department, and it will not get better until both of them are gone. Tucker Carlson guest Joe diGenova: The Democrats sound like the "cries of an injured child, not unlike those of Ms. Ford"
Fox guest Joseph diGenova: Christine Blasey Ford "doesn't want to testify because when she does she's going to look like the loon that she is"
Joe diGenova on Michael Cohen and Trump: "Payments made with the knowledge of the candidate are not necessarily illegal per se"
Conservatives often bemoan liberal dominance of Hollywood. But since Donald Trump’s election, Fox News’ Sean Hannity has built the closest thing the right wing has to the Marvel Cinematic Universe, the wildly successful superhero franchise. Where Marvel’s superheroes fight alien invaders, the stars of the Sean Hannity Expanded Universe (SHEU) position themselves as the last bulwark against special counsel Robert Mueller’s investigation into Russian interference in the 2016 presidential election. But while the superheroes of the Marvel Cinematic Universe fight villains like Thanos on their own, Hannity and his compatriots want to go a step further and enlist their audience to support a frightening and anti-democratic response by Trump. Hannity has cast himself as his series’ Iron Man, the only visionary clear-sighted enough to identify an existential threat. The sprawling team assembled around him includes bankable leads, aging stars seeking new relevance, promising new faces, and ensemble players, all crossing over into each other’s storylines to build common narratives. Their overarching tale is that Mueller’s Russia probe is a “witch hunt,” the result of the fabrications of a shadowy cabal of journalists, Democrats, and “deep state” operatives. The happy ending they seek is the president saving himself by curtailing Mueller’s probe and instead ordering investigations into his political enemies. For more about Hannity's conspiratorial narrative and the authoritarian endgame he's pushing, see our study reviewing his coverage of the first year of the Mueller probe. 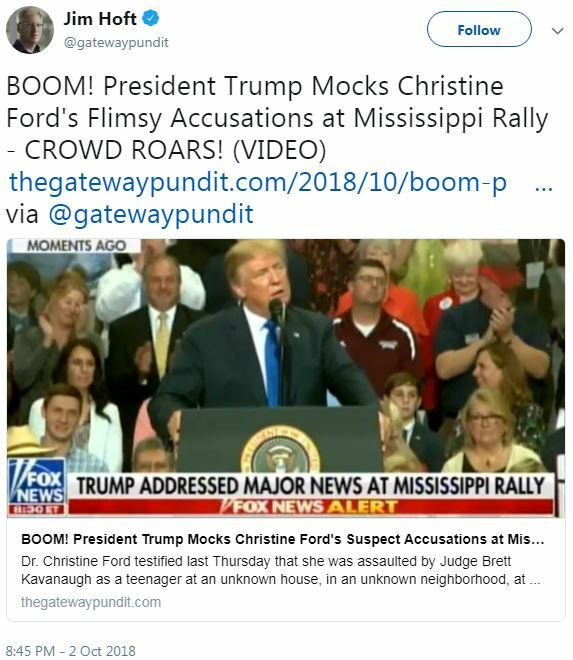 President Trump is simultaneously the audience for this story, the victim who needs to be saved, and, in Hannity’s telling, the potential hero. The SHEU’s proposed solution to the Mueller investigation is in line with the authoritarian model for law enforcement Trump prefers, casting the Justice Department’s function as protecting the president and punishing his enemies. Unlike Marvel fans, Trump is able not merely to watch members of the SHEU on Fox broadcasts, but to break the fourth wall and go on their shows for fawning interviews, highlight particular segments for his Twitter followers, promote their programs and books, and even call on a select few for advice. That might be a fanboy’s fantasy. But it has real and frightening consequences. The SHEU is reaching out from the Fox News screen and encouraging the president to act on his authoritarian impulses. Hannity and his teammates are preparing their viewers to support Trump no matter what norms he shatters. They have great power, and if Trump takes their advice, they will bear great responsibility. A weekly guest spot with the Fox & Friends crew helped turn Trump into a political phenomenon, and he’s remained a loyal viewer throughout his presidency. If you see Trump angrily tweeting about the Mueller probe early in the morning, Steve Doocy, Ainsley Earhardt, Brian Kilmeade, or one of their guests is almost certainly responsible. Lou Dobbs’ cable news career seemed over when his bigoted commentary finally forced CNN to push him out in 2009, but he soon found a new home at Fox Business. Even at Fox, he’s distinguished himself as a shameless pro-Trump sycophant whose calls to not just fire but jail Mueller and the FBI and Justice Department leaders who have defied Trump are genuinely unnerving. A longtime friend of Trump’s whom he considered for a senior Justice Department position, Jeanine Pirro has a Saturday night program that’s a must-watch for both White House aides and observers hoping to predict Trump’s messaging. 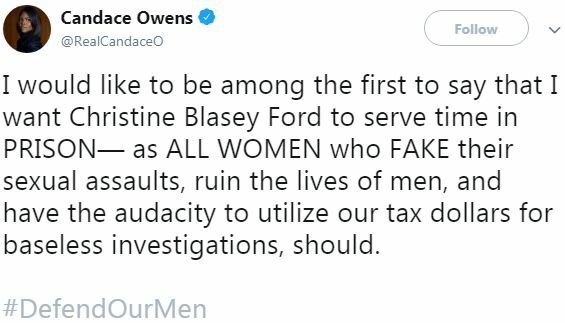 She drew attention for her disturbing call for a “cleansing” of the FBI and DOJ and the arrests of top officials she considers insufficiently loyal to the president. Jarrett’s a hack, but at least he’s Fox’s hack. Other attorneys regularly called upon to dismiss the investigation include Trump’s lawyer Jay Sekulow and the husband-and-wife team of Victoria Toensing and Joseph diGenova, who were briefly considered for Trump’s legal team and have represented several figures under Mueller's investigation. All three are mainstays in the right-wing legal community -- and each has done legal work for Hannity. Once colleagues at the right-wing website Circa News, John Solomon has moved on to The Hill while Sara Carter is a Fox contributor who publishes her reporting at her personal blog. Their slanted reporting based on conservative sources helps fuel anti-Mueller Fox hosts eager for information confirming their dire theories, and it garners the pair regular appearances throughout the SHEU -- and Hannity’s call to award them with Pulitzer Prizes. A former Secret Service agent, Dan Bongino parlayed three failed bids for federal office into a career as a mid-level right-wing pundit, a gig on the National Rifle Association's media operation NRATV, and regular appearances on Fox & Friends and Hannity. Keep an eye on this one -- someone willing to call the Russia probe “an obvious frame job” could go far in this morally bankrupt movement. Sebastian Gorka, who joined Fox after being canned from his poorly defined White House job after only seven months, has argued that Clinton should be put to death for treason. On Fox News, Joe diGenova claims "There was a substantial effort to frame" Trump "by infiltrating his campaign, and then his administration with spies"
Fox host Sean Hannity has been under fire for not disclosing his legal relationship with President Donald Trump’s associate Michael Cohen. Hannity also has a legal relationship with Trump-linked attorneys Jay Sekulow, Victoria Toensing, and Joseph diGenova. Hannity hosted them (and Cohen) a total of 83 times on his Fox News show Hannity without disclosing the relationships. Trump connection: Michael Cohen is Donald Trump’s longtime associate, who has been described as Trump’s “personal lawyer and fixer.” He is currently under federal criminal investigation. 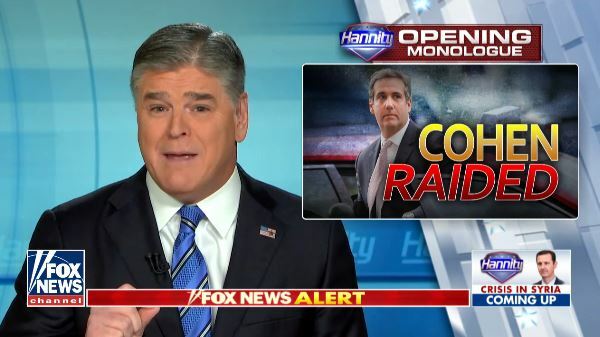 Hannity connection: On April 16, Cohen’s lawyer disclosed in court that Hannity was Cohen’s client. Hannity has since attempted to downplay their relationship. 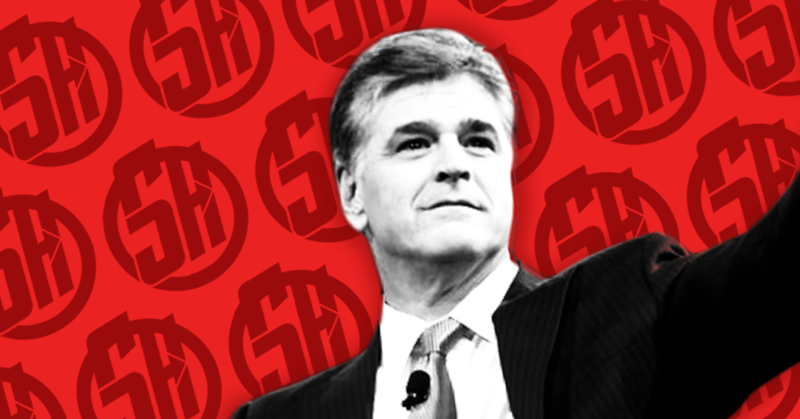 Despite widespread criticism of Hannity’s actions, Fox News reportedly has no plans to hold Hannity accountable for his failure to disclose his relationship with Cohen. Trump connection: Jay Sekulow announced on June 9, 2017, that he was joining Trump’s legal team. He has been on the team since then and is currently the primary attorney for Trump in regard to the Russia probe. Hannity connection: Hannity has leaned on Toensing in the past to help push conspiracy theories about both Benghazi and Uranium One. Toensing represented the alleged FBI informant who made allegations about foul play by the Clintons in the Uranium One deal and who was frequently discussed on Hannity’s show. Additionally, Toensing was identified, along with Sekulow, as “Counsel for Sean Hannity” in a letter received by an Oklahoma radio station in March 2017 after right-wing radio host Debbie Schlussel accused Hannity of sexual harassment. Nick Fernandez, Zach Pleat, Sanam Malik, Steve Morris, and Tyler Monroe contributed to this post.